Courage leads the way, cutting the icy stage for Disney’s most adventurous dreamers at Disney On Ice presents Dream Big. 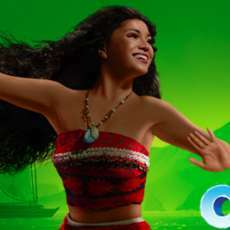 For the first time in Europe, join fearless Moana and the greatest demigod that ever lived, Maui, on an action-packed voyage to restore the stolen heart of Te Fiti, live on ice! Get tangled up in Rapunzel’s hair-raising quest to see the floating lights. Travel to mountainous Arendelle with Anna, Elsa and Olaf in a dramatic retelling of the sisterly love that saved a kingdom. And discover the strength, bravery and kindness that inspired generation after generation with Jasmine, Ariel, Aurora, Belle and Cinderella.